If you have a friend or relative who brings homemade bread to gatherings, you know how moist and delicious it is! A slice of bread from your own oven is great as toast, dipped in a bowl of soup or as part of your favorite sandwich. It might seem intimidating to make your own bread, but it's really quite easy once you get the hang of it. Here are some tips to baking your first loaf and a recipe to get you started. Once you've decided to take on this new culinary endeavor, there are a few key factors that you should understand. The first is that, unlike cooking, where you're essentially mixing flavors, baking relies on chemical reactions. This means that you can't just tweak a bread recipe to suite your tastes or substitute ingredients that you don't have on hand. It's important to measure precisely and follow the recipe exactly if you want soft, chewy bread. You should also understand a few of the key ingredients that go into the perfect loaf of bread. You've likely heard of yeast, which makes the dough rise, but there are two different kinds: active dry yeast and instant yeast. Wise Bread recommended that you make sure to purchase the right variety and store it in the refrigerator until you're ready to bake. Before you dive into bread making, it's also helpful to know the different steps in the process. When you read through your first recipe, there might be terms like "rising" and "shaping." Letting dough rise generally entails forming a ball, placing it in a bowl and covering it in plastic wrap. You should place the bowl in a warm location, like in your oven with the light on. To shape dough, you deflate it after rising, then place it into a loaf pan or shape it on a cookie sheet. It is generally then covered with a towel for its second rising. 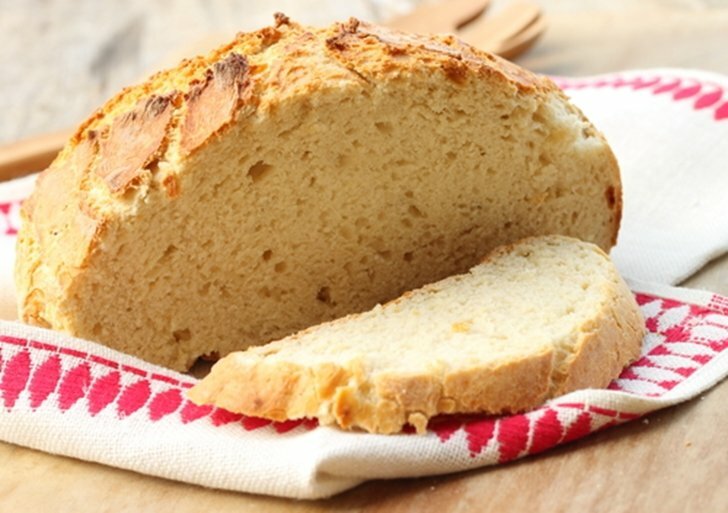 With these tips in mind, it's time to make your first loaf of homemade bread. Just follow these instructions carefully, and you'll have a delicious dish to serve to your friends at the retirement community. When your water is between 110 and 115 degrees Fahrenheit, pour it into a large bowl and stir in the yeast until it dissolves. Add in the sugar, salt, oil and 3 cups of flour. Beat the ingredients until smooth, then stir in the remaining flour a little bit at a time until a soft dough forms. Place the dough on a floured surface, then knead for eight to 10 minutes. You dough should become smooth and elastic. Next, form a ball and place it in a greased bowl, turning once to grease top. Cover and let rise in a warm place for 90 minutes or until it doubles in size. Punch the dough down, then place it on a floured surface once again. Divide into two sections, then shape each into a loaf. Place the halves in two greased 9-by-5-inch pans. Cover and let rise a second time for around 30 minutes. Preheat the oven to 375 degrees, then bake your loaves for 30 to 35 minutes or until golden brown. Remove from pans and place each loaf on a wire rack to cool. Congratulations! You just made your first loaves of homemade bread.